Now is the time to Un-SELECT. 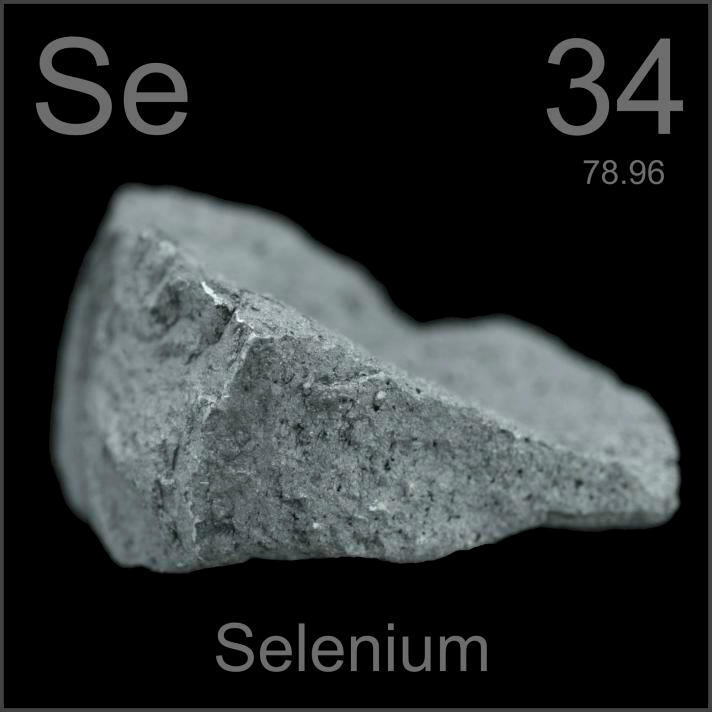 The wrong selenium was used in this study for prostate cancer. The latest news hitting the news wires these days is that Selenium significantly increases the risk of prostate cancer – by a lot. • Researchers wanted to see if vitamin E (in the form alpha-tocopherol) and selenium (in the form of L-selenomethionine) could prevent prostate cancer. The trial was simply called the SELECT trial (SELenium and vitamin E Cancer prevention Trial). L-selenomethionine plus alpha-tocopherol; or placebo. • Initially the findings showed more prostate cancer in men taking vitamin E alone, and slightly more diabetes in men taking only selenium. But neither finding was statistically significant, meaning these findings were likely due to chance (Lippman et al. 2009). • Now, in 2014 after further analysis of the SELECT data, new findings suggest that taking selenium (selenomethionine) supplements increased the risk of high-grade cancer by 91% among men with high selenium status at baseline. • When selenium supplements were taken by men who had high selenium status to begin with, the levels of selenium became toxic. The lead researcher, Dr. Kristal says; “Men using these supplements should stop, period. Neither selenium nor vitamin E supplementation confers any known benefits – only risks,” he continued. “While there appear to be no risks from taking a standard multivitamin, the effects of high-dose single supplements are unpredictable, complex and often harmful. Taking a broad view of the recent scientific studies there is an emerging consistency about how we think about optimal intake of micronutrients. There are optimal levels, and these are often the levels obtained from a healthful diet, but either below or above the levels there are risks. Selenium is a trace mineral we ingest from a variety of plants, most notably Brazil nuts and animal sources in several different forms. There are three forms of selenium most important in cancer prevention studies: selenomethionine, selenocysteine and methyl-selenocysteine. In general, the three selenium compounds complement one another in the ways they affect your body’s expression of important proteins involved in cancer prevention and suppression.In addition, all three selenium compounds induce cell death in various cancer types, but each compound is better at destroying some cancers than others. 2. Helps with the proper balance of thyroid hormones. 3. Serves as an antioxidant on it’s own. There’s a fundamental problem that continues to surface with the research of nutrition and cancer. There are too many factors involved in the development and progression of prostate cancer— including low levels of testosterone, increased levels of estrogen, co-existing diabetes or metabolic syndrome, and over-consumption of saturated fats (Malley et al. 2006). Studying just the alpha-tocopherol form of vitamin E is faulty in design and methodology, especially when there is some evidence indicating that other members of the vitamin E family are even more important. Studies in the year 2000 emerged demonstrating that the alpha-tocopherol component of vitamin E DOES NOT protect men from prostate cancer without the other major component of vitamin E, gamma-tocopherol. In fact, the alpha tocopherol form of vitamin E depletes the cells of the more protective form of vitamin E, gamma tocopherol (Handelman et al. 1994). When high doses of alpha-tocopherol vitamin E are consumed simply not protective without the synergistic benefit of gamma-tocopherol. While alpha-tocopherol inhibits the production of free radicals, it is the gamma-tocopherol form of vitamin E that is required to trap and neutralize free radicals. (Christen et al. 1997) Further more, researchers reported that it could be dangerous to take high levels of alpha-tocopherol vitamin E without also consuming gamma-tocopherol. In over ten thousand men studied at the prestigious Johns Hopkins School of Public Health, men who had the highest blood levels of gamma-tocopherol were five times less likely to get prostate cancer (Helzlsouer et al. 2000). In addition to the finding that higher levels of gamma-tocopherol significantly reduced prostate cancer risk, the study also showed that selenium and alpha-tocopherol also reduced prostate cancer incidence, but only when gamma-tocopherol levels are high. Other researchers have also found that gamma-tocopherol offers a protective effect against prostate cancer (Huang et al. 2003). Dr. David McCormick at the Experimental Toxicology and Carcinogenesis Division, IIT Research Institute in Chicago found no effects with selenomethionine supplementation on the prevention of prostate cancer in rats (McCormick & Rao. 1999). Well, here we go again, eh? This is the latest edition of a GIGO (garbage in, garbage out) study. To consume any form of selenium without gamma-tocopherol vitamin E is inadequate and a waste of money. There seems to be synergistic value between selenium and gamma-tocopherol vitamin E as highlighted by Helzlsouer et al. who looked at over 10,000 men and found (worth reiterating) that selenium and alpha-tocopherol also reduced prostate cancer incidence, BUT ONLY when gamma-tocopherol levels are high. Futhermore, benefits of selenium are pronounced ONLY in its yeast form and NOT so much in the form of selenomethionine alone. 1. You cannot always depend on the latest research for accurate information. The last study is not always the best. Nutritionally oriented physicians like licensed naturopathic doctors can be invaluable in helping patients navigate through “GIGO” research and provide effective protocols for maximal health outcomes. And no, you cannot get all the nutrients you need from food. Although the idea is nice, very few people eat 100% from local farms, organic, grass-fed meats, clean fish and whole grains. Phone interview with Dr. Whitacre, 9:15 pm EST, February 24, 2014, from NYU Urology office. Special thanks to Dr. Whitacre for sharing his thoughts with me on this topic so late at night. Lippman et al. Effect of selenium and vitamin E on risk of prostate cancer and other cancers: the Selenium and Vitamin E Cancer Prevention Trial (SELECT). JAMA. 2009;301(1):39 -51. Huang, H.Y., Alberg, A.J., Norkus, E.P., Hoffman, S.C., Comstock, G.W., Helzlsouer, K.J., et al. (2003). Prospective study of antioxidant micronutrients in the blood and the risk of developing prostate cancer. American Journal of Epidemiology, 157(4), 335-344. Handelman, G.J., Epstein, W.L., Peerson, J., Spiegelman, D., Machlin, L.J., & Dratz, E.A. (1994). Human adipose alpha-tocopherol and gamma-tocopherol kinetics during and after 1 y of alpha-tocopherol supplementation. American Journal of Clinical Nutrition, 59(5), 1025-1032. Klein et al. Vitamin E and the risk of prostate cancer: the Selenium and Vitamin E Cancer Prevention Trial (SELECT). JAMA 2011 Oct 12;306(14):1549-56. Helzlsouer KJ, et al. Association Between alpha–Tocopherol, gamma-Tocopherol, Selenium, and Subsequent Prostate Cancer. J Natl Cancer Inst 2000 Dec 20;92(24):2018-2023. Helzlsouer, K.J., Huang, H.Y., Alberg, A.J., Hoffman, S., Burke, A., & Norkus, E.P., et al. (2000). Association between alpha-tocopherol, gamma-tocopherol, selenium, and subsequent prostate cancer. Journal of National Cancer Institute, 92(24), 2018-2023. Duffield-Lillico AJ, Reid ME, Turnbull BW, et al. Baseline characteristics and the effect of selenium supplementation on cancer incidence in a randomized clinical trial: a summary report of the Nutritional Prevention of Cancer Trial. Cancer Epidemiol Biomarkers Prev 2002;11:630-639. Brooks JD, Metter EJ, Chan DW, et al. Plasma selenium level before diagnosis and the risk of prostate cancer development. J Urol. 2001;166(6):2034-2038. Clark LC, Dalkin B, Krongrad A, et al. Decreased incidence of prostate cancer with selenium supplementation: results of a double-blind cancer prevention trial. Br J Urol 1998;81:730-734. Yoshizawa K, Willett WC, Morris SJ, et al. Study of prediagnostic selenium level in toenails and the risk of advanced prostate cancer. J Natl Cancer Inst. 1998;90(16):1219-1224. McCormick DL, Rao KV. Chemoprevention of hormone-dependent prostate cancer in the Wistar-Unilever rat. Eur Urol. 1999;35(5-6):464-7. Waters DJ, Shen S, Cooley DM, Bostwick DG, Qian J, Combs GF Jr, Glickman LT, Oteham C, Schlittler D, Morris JS. Effects of dietary selenium supplementation on DNA damage and apoptosis in canine prostate. J Natl Cancer Inst. 2003 Feb 5;95(3):237-41. Lee EH, Myung SK, Jeon YJ, et al. Effects of selenium supplements on cancer prevention: Meta-analysis of randomized controlled trials. Nutr Cancer. 2011 Oct 17. Bjelakovic G, Nikolova D, Gluud C. Antioxidant supplements and mortality. Curr Opin Clin Nutr Metab Care. 2014 Jan;17(1):40-4. Many years ago I attended the very first meeting of Frontiers in Cancer Prevention Research, as a Patient Advocate. I heard about the soon-to-start SELECT trial and jumped up to PROTEST. The group planned to give the men dl alpha-tocopherol, a SYNTHETIC form of one aspect of vit E. We already KNEW that artificial and synthetic vitamins don’t penetrate the nucleus of the cell – 8th grade biology – and that matters. Additionally it was known that vit E was not JUST alph-tocopherol but a variety of tocopherols (beta, gamma, delta) and tocotrientols (similarly). So I objected to the choice of this dietary supplement. I was told it has already been used in the past, so was chosen to use again. I also had qualms about the choice of selenium. AND I worried that neither would be activated without vit C. I was told the men would be allowed to take a multi-vitamin of the RESEARCHERs CHOICE. I called that company, got a faxed list of ingredients. First of ALL were synthetic and artificial and ALL were (of course) at the RDA levels. These levels are too low to really help the body, just set to prevent scurvy or Beri Beri. Not really adequate in this day and age. So I ‘predicted’ from the start that this trial would NOT be successful for the reasons above. There is never a good effort to offer lifestyle information, JUST to test either thing separately. Those men should have been given (trained in) exercise and physical activity, stress reduction and a healthy nutritional plan with lots of fresh (organic when possible) fruits and vegetables. Sadly it is all too easy to create a study of dietary supplements that will fail as this one did. I am the founder of Annie Appleseed Project, a 20+ yr cancer survivor and an Advocate for all with cancer, from the Patient perspective. Thank you for an excellent article/rebuttal on the SELECT study. Our oncologist just brought this up to us three days ago – and I began to dig in and investigate. DOES THIS MEAN SELECT PARTICIPANTS were also taking an unapproved drug? I am not an MD/ND but as a health advocate, this is what I am gathering from the above paragraph excerpt. Proscar (finasteride) is used to treat symptoms of benign prostatic hyperplasia (BPH) in men with an enlarged prostate. It works by decreasing the amount of a natural body hormone dihydrotestosterone (DHT) that causes growth of the prostate. The PCPT trial was a 7-year randomized, double-blind, placebo-controlled trial that enrolled 18,882 men ≥ 55 years of age with a normal digital rectal examination and a PSA ≤ 3.0 ng/mL. Men received either PROSCAR (finasteride 5 mg) or placebo daily. Patients were evaluated annually with PSA and digital rectal exams. Biopsies were performed for elevated PSA, an abnormal digital rectal exam, or the end of study. The incidence of Gleason score 8-10 prostate cancer was higher in men treated with finasteride (1.8%) than in those treated with placebo (1.1%) [see INDICATIONS AND USAGE]. In a 4-year placebo-controlled clinical trial with another 5α-reductase inhibitor (dutasteride, AVODART), similar results for Gleason score 8-10 prostate cancer were observed (1% dutasteride vs 0.5% placebo). No clinical benefit has been demonstrated in patients with prostate cancer treated with PROSCAR. Disclaimer:The entire content of this website is based upon the opinions of Dr. Geo, unless otherwise noted. Individual articles are based upon the opinions of the respective author, who retains copyright as marked. The information on this website is not intended to replace a one-on-one relationship with a qualified health care professional and is not intended as medical advice. It is intended as a sharing of knowledge and information from the research and experience of Dr. Geo and his community. Dr. Geo encourages you to make your own health care decisions based upon your research and in partnership with a qualified health care professional.